The long tail cast on is wonderful for any knitting projects starting with rib or which need a neat, elastic edge. As the name suggests, it uses a very long tail! When making your slipknot to begin casting on, you should leave a tail long enough for the number of stitches you are casting on, as you will be casting on using both the working yarn and the tail together. The required tail length can be estimated by wrapping the yarn around your needle for the number of stitches needed, but I advise leaving some extra as well. Make a slipknot leaving a long enough tail to cast on all your stitches. Place this on the RH needle. 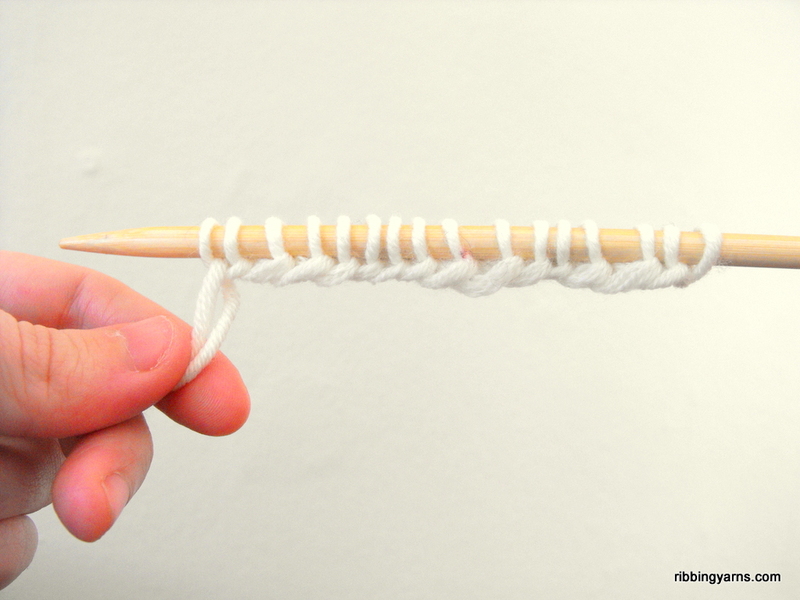 Wrap the long tail over your thumb and the working yarn over your index finger as shown, holding the rest of the working yarn and the tail lightly together in your palm. 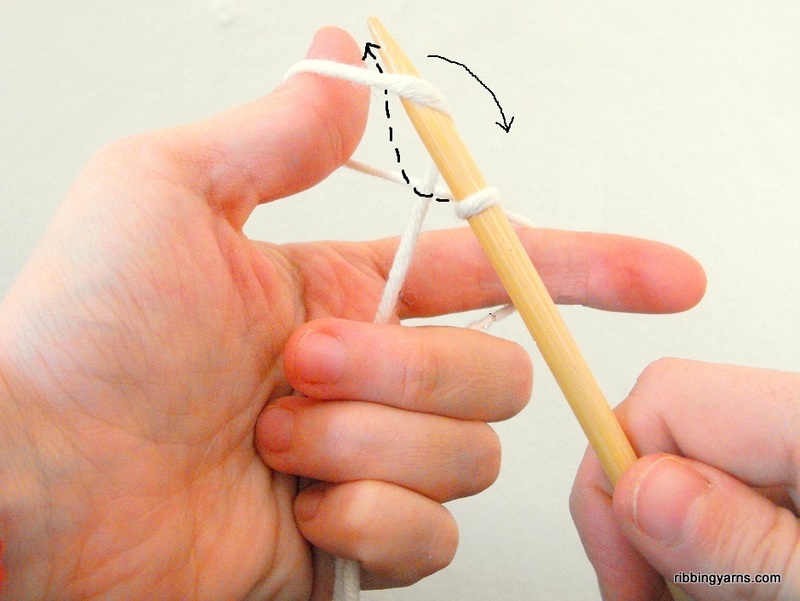 Turn the tip of the needle towards you, then under the yarn between your thumb and palm, from front to back. 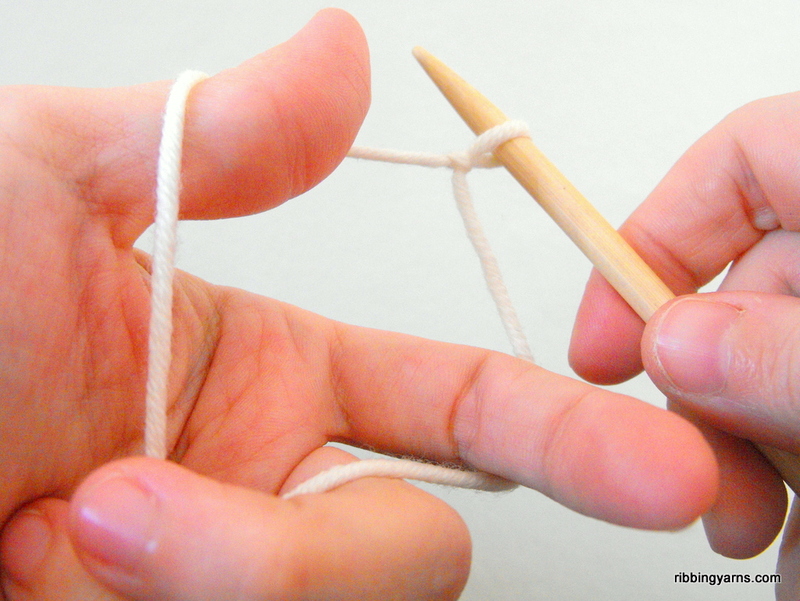 Then turn the needle away from yourself, under and through the yarn between your index finger and needle. 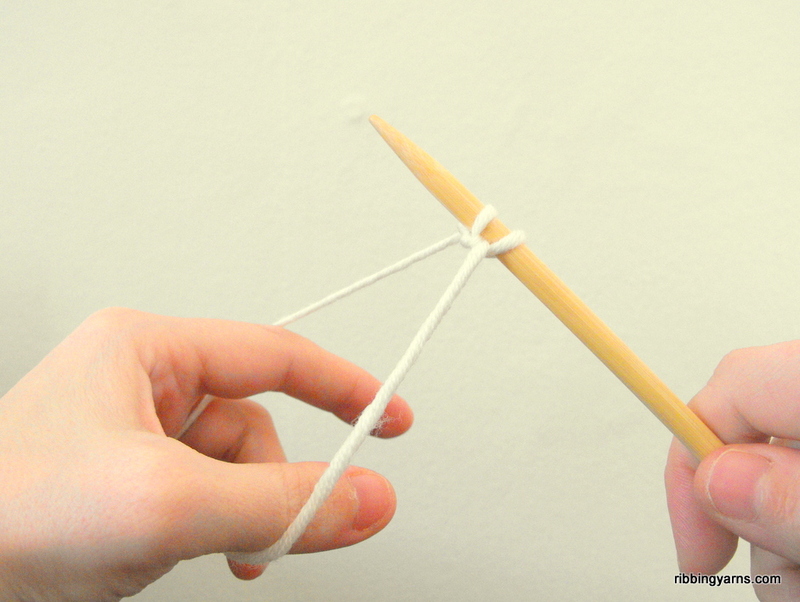 Pull the yarn back through the thumb loop towards you. Release the loops on your fingers. You now have 2 stitches on the needle! 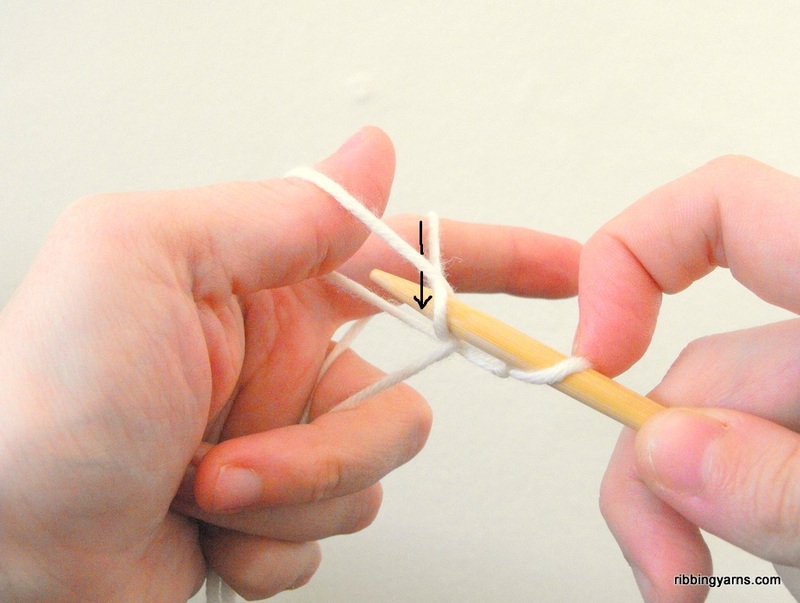 Bring your hand up again with yarn over thumb and index finger and repeat steps 2-4 for the required number of stitches. 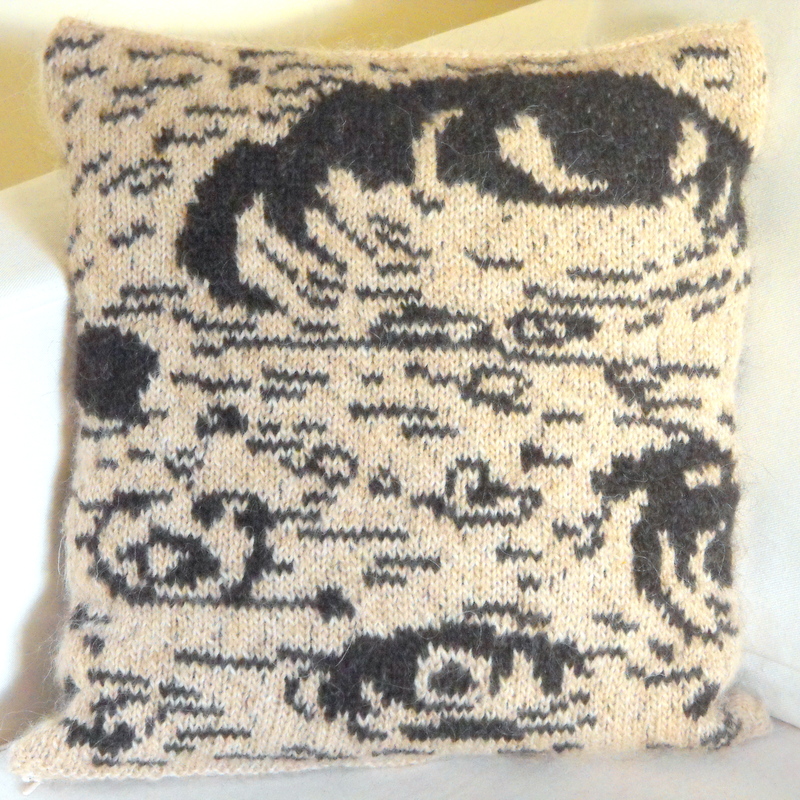 This entry was posted in How To, Knitting and tagged Beginner Knitting, Casting on, Craft, elastic cast on, Håndarbejde, How to, How to knit, Knitting, Knitting Tutorial, Long Tail Cast On, Strik, Techniques. Bookmark the permalink.